An enlarged prostate, known as benign prostatic hyperplasia (BPH) mainly affects men over 50. While the condition is not considered life-threatening, it can cause problems with urination. Medications are available to treat range BPH, when needed, which can reduce inflammation and even reverse enlargement in many cases. While it may seem reasonable to treat on diagnosis, evidence largely suggests that may not be necessary. According to the National Institutes of Diabetes, Digestive, and Kidney Disorders (NIDDKD), as many as one in three men with BHP will see their symptoms resolve without any treatment whatsoever. As such is, most specialists will encourage you to take a wait-and-see approach and not rush into treatment. 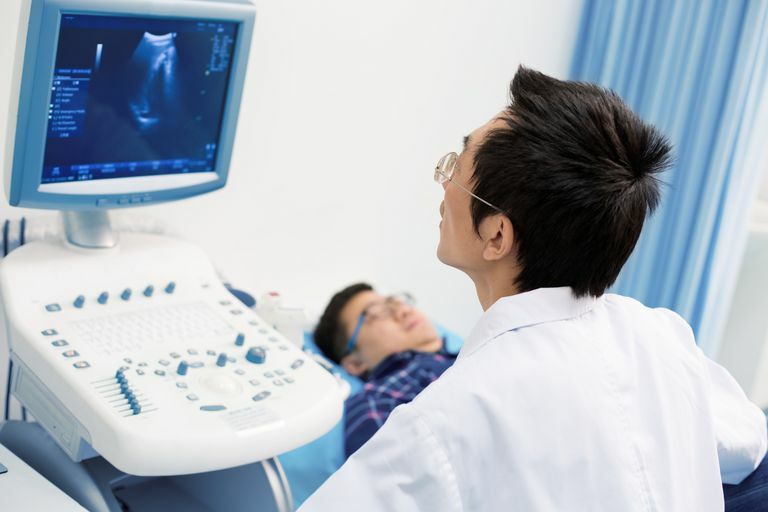 Treatment is typically started when the symptoms of prostate enlargement result in either urinary tract bleeding or serious or recurrent urinary infections. It may also be started when the frequency of urination and/or physical discomfort of prostate enlargement adversely impacts daily living. Alpha blockers work by relaxing the muscles of the prostate and bladder neck. While alpha blockers are effective in around 75 percent of cases, they typically provide only modest relief and, as such, are usually reserved for men with milder symptoms. If you are prescribed an alpha blocker, expect to be monitored during the first few weeks to check for side effects and signs of improvement. The majority of men with mild BPH will start to feel the positive effects within one to two days. Common side effects may include headache, dizziness, upset stomach, tiredness, sinus congestion, and low blood pressure. Erectile dysfunction and impotence can also occur. 5-alpha reductase enzyme inhibitors work by shrinking the prostate gland and are most effective in men whose prostate are significantly enlarged. While it may take time for the drugs to take full effect (from three to six months on average), they can often help men avoid the need for surgery. The best candidates for combination therapy are men with enlarged prostate and high PSA levels. An alpha blocker combined with a 5-alpha-reductase inhibitor provides benefit by relaxing the prostate gland while gradually reducing its size. A large-scale study conducted in 2006 showed that combination therapy resulted in a 66 percent reduction in symptoms of BPH compared to 34 percent with an alpha-blocker and 39 percent with a 5-alpha-reductase inhibitor alone. The only downside may be that combination therapy exposes the user to side effects for both drugs. Careful consultation with a qualified specialist is recommended to weigh the benefits and consequences of treatment. Heat therapy (hyperthermia) is an outpatient treatment that is sometimes used to avoid surgery. The procedure involves the insertion of a thin, flexible device into the urethra to deliver heat directly to the prostate gland. It can employ either microwave, laser, or electro-vaporization technology and has been shown to be 74.9 percent effective in shrinking an enlarged gland. As a more invasive procedure, hyperthermia should only be used in men in whom drug therapies have failed. Local anesthesia is used and recovery typically takes a few days. Home-based heat therapy may be performed as an adjunction to medication. This can be done by applying a heating pad or hot-water bottle directly to the area to increase blood flow and alleviate pain and inflammation. The use of alternative therapies for prostate health has become extremely popular around the world. The most widely used plant extract is that of the saw palmetto (Serenoa repens). While a 1996 study from the U.S. Department of Veteran Affairs suggested that saw palmetto was as effective as finasteride in reducing the size of an enlarged prostate, a 2006 study published in the New England Journal of Medicine directly contradicted the findings. Bent, S.; Kane, C.; Shinohara, K.; et al. "Saw Palmetto for Benign Prostatic Hyperplasia." New England Journal of Medicine. 2006; 354-557-566. Presti, J.; Kane, C.; Shinohara, k.; and Carroll, P. "Chapter 22: Neoplasms of the prostate gland." In: Tanagho and McAninch, eds. Smith and Tanagho's General Urology 18th edition. New York: McGraw-Hill; 2012.